With exploding volume of unstructured data, organizations are searching for ways to effectively manage and use data while controlling spiraling expenses. Software-Defined Storage (SDS) is a good way to increase agility and management simplicity, but how are you finding the right SDS solution for your organization? 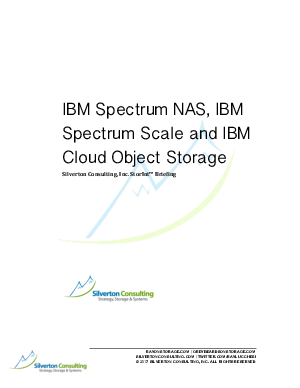 IBM's comprehensive SDS offerings, reinforced by modern file storage solution, IBM Spectrum NAS, is a flexible storage solutions and can be customized according to your application environment. Read this paper to know how Spectrum NAS can support your file and object data requirements.